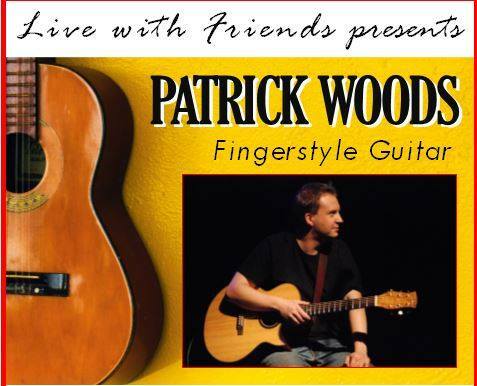 Join the Library on Sunday, January 27 at 3pm for Live with Friends presents Patrick Woods. Patrick Woods has carved out his unique brand of up-tempo driving acoustic instrumentals that are complex enough to be appreciated by advanced musicians, but melodic enough to be enjoyed by the average music lover. His ambitious playing earned him second place in Guitar Player Magazine’s GUITAR SUPERSTAR Competition.